This movie rocks. Everything about it. The story, the colorful characters, the laughs, the scares, the gorgeous scenery rendered in flawless CGI, and the haunting Celtic soundtrack that wafts through the theater as you sit transfixed. Pixar has done it again, serving up a feast for the eyes and ears, without sacrificing a good story, thought provoking messages, and something for every age, gender and background to relate to. At the start, we meet Merida (Kelly McDonald), princess of a Scottish kingdom, and Daughter of King Fergus (Billy Connolly) and Queen Elinor (Emma Thompson). Elinor works overtime, trying to teach Merida to be a princess, which generally involves being lady-like. Merida loves to ride horses, shoot arrows and climb mountains, much to her mother’s chagrin, and father’s chuckling pleasure. The best scene in the movie is an early one in which Merida, and her horse, Angus, gallop through a shimmering emerald forest, Merida firing arrows into passing targets while Gaelic siren Julie Fowlis weaves a haunting yarn over fiddles and Celtic flutes. I’d probably buy the DVD just for that scene. 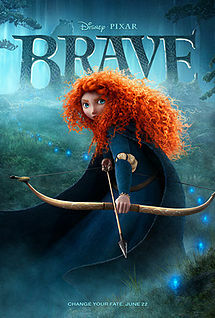 For awhile, it looks like Brave might turn out to be a microwaved version of Aladdin. Merida is horrified when she learns that her mother has invited three other kingdoms to submit contestants for her hand in marriage, and three princes are coming to compete for her in the Highland Games. A series of arguments follows, in which Merida doesn’t want to get married, least of all to someone she’s never met, and her mother tries to remind her of her duty to the kingdom and the importance of stable government. The big day arrives, and the three princes fire arrows at targets to determine who will win her hand. Suddenly, in what initially appears to be the ultimate cliche, a cloaked figure approaches the archery range. Merida throws off the cloak (big surprise, right?) and declares, “I’ll be shooting for my own hand!” As her mother protests, she fires arrows dead center into each target, winning the competition. Of course, for your average modern fairy tale, this would probably be the climactic scene. Our strong, free spirited heroine throws off the shackles of patriarchal oppression, beats the men at their own game (using weapons, of course), and establishes herself as an independent woman, or at least chooses her own man. It would have been easy, and politically safe, to throw something like that together, but of course, easy doesn’t cut it for Pixar. 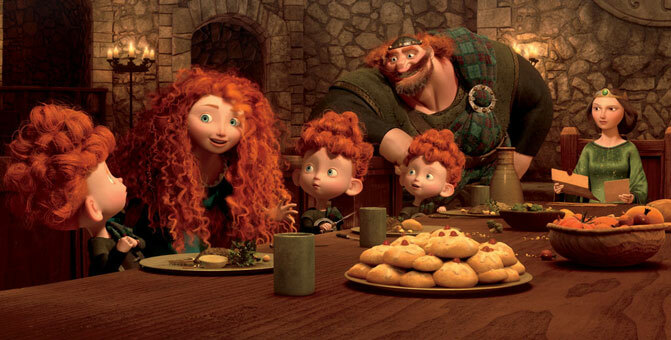 We still have a lot of movie to go and, while Merida doesn’t exactly end up as a tamed shrew, she soon realizes she has a lot to learn about life in medieval Scotland, not the least of which is putting family and country above her own desires. Pixar’s talent for story telling especially comes through in the fact that this story relies for its context on a back-story from eons past. This back-story is mentioned only in two very short, and rather washed-out flashbacks, but it still makes perfect sense (within the context of the movie, that is). Using the art of brief, visual story telling Pixar wove the two stories seamlessly together. That’s probably as much as I should say. Pixar wisely left some major plot points out of the trailers, and it’s better for you to be surprised. It’s no fun reviewing great movies; I can’t say much or I’ll ruin it. I should note that the main reason I’m not giving Brave five stars is that I’ve only watched it once. 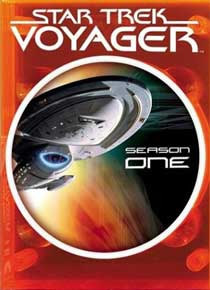 But I intend to remedy that when it’s out on DVD.